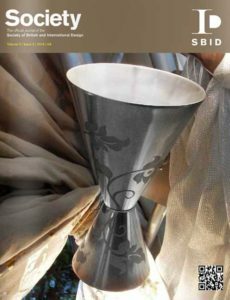 The SBID International Design Awards 2014 entries are now closed; it’s been an outstanding success with an overwhelming number of entries, exceeding our expectations for yet another year. The Awards have attracted quality projects on every scale and price point from around the world, continuing to demonstrate our ethos that design is a discipline that requires training, trading standards and a shared financial conduct. The strength of the entries allows us to effortlessly continue with our mission to celebrate all that great design represents. For some time now, importance has been firmly placed on ‘sustainable business solutions’ by Government, consumers and the design industry. When deciding the theme for this issue, we considered whether we would run the risk of scrutiny as the phrase is often overused. However, having listened to your feedback, we are in the process of making a few changes to bring you an even more targeted and efficient mode of communication.